Following adoption of the General Plan, Dyett & Bhatia a prepared the city’s Development Ordinance and Downtown Design Guidelines. 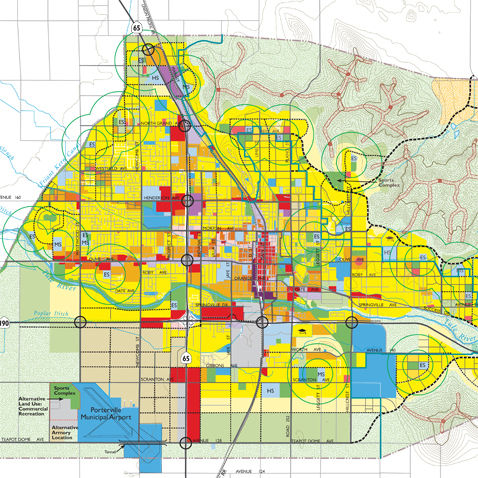 The Development Ordinance combines zoning and subdivision ordinances, and supports implementation of the new General Plan. The Airport Environs Overlay District is designed to ensure land use compatibility in the vicinity of the Porterville Municipal Airport. 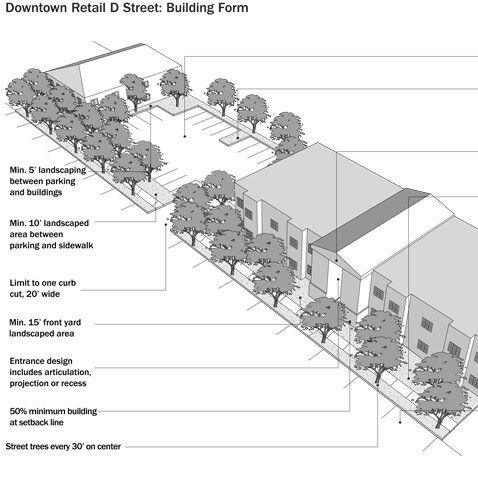 The Downtown Design Guidelines illustrate key concepts related to site planning and building design, intended to enhance the appearance and vitality of Downtown.